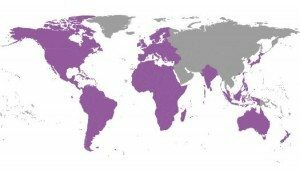 The mission of each of the regional committees is to work together with interested parties in order to improve the quality of life of people with epilepsy within their region. They facilitate joint activities in the region and arrange regular meetings of the Regional Committee. Establish communication network between countries in order to exchange information related to epilepsy service provision. Support existing initiatives in the epilepsy field which can be applied to other countries or regions through a process of skills transfer. Promote the sustainability and accessibility of services for people with epilepsy. Promote the human rights and dignity of people with epilepsy. Support and encourage research into epilepsy. The structure of each Regional Executive Committee consists of the Chair, Vice Chair and Secretary, all of whom will have been elected by the Chapters in region. The elected Chair also holds the position of Vice President for his or her region on the International Executive Committee. The IBE President, Secretary General and Treasurer are ex-officio non-voting members of each regional committee. The countries within each region are guided by the World Health Organization’s (WHO’s) regional structure and are determined by the International Executive Committee. However, where regional affinity is ambiguous, a member may decide which region it wishes to belong to with the proviso that each member may only be a member of one region.